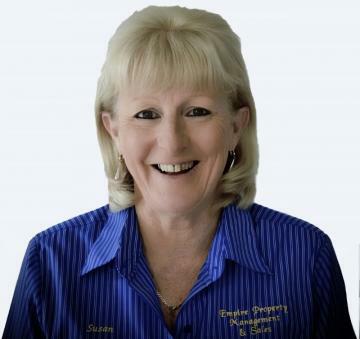 Susan has built her career in property management and tourism, acting as manager and operator of caravan parks for over 14 years. During this time as the key operational driver of the caravan park, Susan sustainable increased operations by 15% per annum, focusing on operational best practice procedures. Throughout her career Susan has developed a vast skillset, specifically in financial management human resources, business development, policy and procedure management and sales and marketing activities. LOVE IT OR INVEST IN IT !!!! This home, whilst in mostly original condition, is presented in pristine condition and has loads of features to boot. A truly magnificent spacious family home that is private yet provides an abundance of entertainment opportunity with family and friends at a standard that surpasses most. Embraced with oversized living options, this large house offers a relaxed lifestyle. You'll love the versatility this house has to offer. Features Include: * Flat 3726m2 block. * Garden Shed for extra storage. PEACEFUL AND TRANQUIL SETTING !!! With Air conditioning and extra room for a study, you'll have everything you need to conduct business without needing to leave the house. This 4 Bedroom brick veneer family friendly house has the scope for future improvements. Sitting proudly on 2.47 Acres, peace and tranquillity are in abundance. The tree-lined bitumen driveway provides a welcoming first impression. * Shops and public transport are only a few minutes away. * Situated on a gently sloping 2.47 Acres. * 3 Large Tanks. * Dam. Undercover outdoor entertaining area, just ideal for relaxing on long summer evenings. The vast open living and dining spill onto a delightful entertainers rear garden. The fully tiled kitchen comes with stainless steel appliances and enjoys a modern design throughout. The home features 4 bedrooms all with plush carpet and built-in wardrobes and spacious and modern bathrooms. Welcome to this four bedroom with a capacious open plan-living area and a fabulous stainless steel kitchen that will delight the cook. This low maintenance brick veneer construction is ideally situated in a quiet cul-de-sac and positioned for convenience only minutes from the shopping centre and schools. A 30 min drive to the Gold Coast or 45 Mins drive to Brisbane City. Speedy action is recommended for this home as it ticks all the boxes to comfortably accommodate a growing family. IDEAL LOCATION, PERFECT INVESTMENT !!!! OWNER WANTS GONE !!! Rare opportunity to own this affordable open airy bright and cheery apartment conveniently located walking distance from public transport, calamvale marketplace and schools. Great investment or first home buyer. Downstairs Entertain your friends with the alfresco style living with open plan modern Kitchen and dining leading out to the courtyard with two double sliding doors for easy access and Downstairs toilet for guests . Features Include: - Gas hot water. - Water Tank. WANTED - NEW OWNER !!! INVEST IN THE BEST !!! This modern 4 bedroom brick home situated in a vibrant community area of Stoneleigh Reserve Estate, walking distance to primary school and kindergarten and 7 Minutes to Waterford West Shopping Centre. The homes characteristics makes it stand out from others with its modern open stylish open plan kitchen with Euromaid high quality appliances master en-suited bathroom and walk in robes. Ducted air conditioning, alfresco entertainment area and security alarm. This home encourages you to share the same excitement that many home owners have discovered in Stoneleigh Reserve Don’t miss out on this great opportunity, you won’t be disappointed. -Low maintenance backyard -Remote double garage -Security alarm -Security screens and blinds throughout the whole property -Ducted air-conditioning through the property -Modern stylish open plan kitchen with Euromaid high quality appliances including dishwasher -A number of cabinets in kitchen for storage -Electric glass cook top and oven -Separate dining and lounge area with ceiling fans -High-quality carpets throughout all bedrooms -all bedrooms with built-in wardrobes and ceiling fans -Master bedroom with ensuite and walk-in wardrobe -Main bathroom with bath tub -Separate laundry room -Undercover alfresco entertainment area -Great size backyard for kid outdoor activities For investors, is currently tenant with a rental return of $420.00 per week. Rates Per quarter including water approx, $850.00. Call now to arrange inspection as 24hrs notice is required for entry in property !!!! GREAT INVESTMENT OR FAMILY HOME !!!! This Unique style home approx 8 years old situated on 606m2 Block, in a quiet location with the only noise of the birds from nearby wetlands has potential and more. Spacious kitchen with wood grain look finish, large living and dining area, 4 bedrooms, 2 bathrooms with room to build your own entertainment area. Close to schools and shops. For Investors a generous rental return of $395.00 per week that has been tenanted for years. Don't wait you'll be to late !!!! - 4 Bedrooms - 2 Bathrooms - Lounge/dining (Air Conditioned) - Ceiling fans - Good Size Kitchen, Plenty of cupboard space. - Double lock remote garage Please note 24hrs notice is required for inspection of property !!! Call to arrange a private inspection !!! Currently tenanted until 16/01/17, with a rental return of $415 per week. Perfectly positioned between Brisbane & the Gold Coast, Yarrabillba really is in the middle of it all. Just 15 kilometres from the M1 Motorway, it’s an easy drive to the region’s renowned theme parks, award winning Mount Tamborine wineries and much of South-East Queensland’s natural beauty. Located approx 240m away from the Darlington Parklands (the regions newest water playground perfect for the kids), a brand new soon to be completed super IGA and is just moments to local schools, public transport and other amenities! Yarrabilba really is in the middle of it all. Water Play, 30m Flying Fox, Climbing Dome, Fortresses with Slides, Multi Swing, Outdoor Gym, Half Basket Ball Court, Events Oval, Toilets, Shade Shelters and BBQ Facilities and lots more to offer. This generous home includes: * 4 Good size bedrooms all with built in robes and ceiling fans. * Master also boasts private ensuite. * Open plan Reverse Cycle Air Conditioning to living and dining area leading effortlessly to the large covered outdoor entertainment area. * Kitchen featuring plenty of cupboard space, Stainless appliances including dishwasher. * Modern bathroom, including bathtub, and separate toilet * Separate laundry. * Fully Screened, Security Doors. * Alarm System * Double lock up Garage on remote with a driveway through access to suit a small boat, trailer or bike. * Located on a 400sqm Block *Electric hot water system *Council Rates $792 Approx. including Water per Qtr. 24hrs notice required for access to the property. Call for a private inspection !!!! CONTRACT CRASHED! Their loss is your gain.. Currently tenanted until 22/1/2017. Earning $465 p/w. Situated on 4.94 beautiful acres in a quiet, well sought after street only minutes from the Jimboomba town centre. The home is ideally well set off from the road giving privacy, peace and serenity. An ideal family home with the opportunity to capitalise on enhancing the interior to suit your own taste. Features include; * 4 good sized bedrooms, all with built in robes. * Lounge with combustion heating * Reverse Cycle Air conditioning * Combined kitchen / dining area. * Separate family room/ rumpus room. * All windows fully screened. * Timber blinds * Tank Water/ Septic * Brick BBQ area * Fully fenced. Make 2017 your year and call for a private inspection today. 24 hrs notice is required for access. Your family and friends will love the warmth and feel of this engaging home. This stylish residence is nestled on 5847m2 block in a desirably tranquil cul-de-sac location backing on to a lovely tree lined nature reserve. Buy a pony for the kids to ride Enjoy entertaining whether indoors or outdoors with plenty of space for all. Enjoy cooking in your remodelled kitchen, and new tiles throughout. Two remodelled bathrooms and trickle feed water, helps you enjoy your shower with endless water & water your gardens with the 5000L rain water tank to look the best in the street. You’ll love this place” I have no Doubt” when you see the features on the day you come out. Features Include: * 4 Good Size bedrooms * Open Plan lounge/dining *Separate family room * Remodelled kitchen /Ensuite and Bathroom * Kitchen/Stainless Steel appliances * New Tiles/Carpet throughout *3 Reverse Cycle Air conditioners * Ceiling fans * Large Indoor & outdoor entertainment area or children’s retreat * Solar panels * Trickle feed town water * Solar panels * 6x5.25m Freestanding Gable Roof Carport * Single colourbond lock up shed. * Fully fenced Make your move, be the first to contact us for a private inspection !!! PRICE REDUCED TO SELL SELL SELL !!! Take note of this solid brick and tile home in a convenient Boronia Heights location close to park, schools and shops. This cosy freshly painted three bedroom home is ideal for an investor or first home owner. Set on Set on 622sqm corner elevated block the property is located in a quiet street and presented in a good condition. Features Include: * 3 Bedrooms, all with built in robes * Combined living and dining with reverse cycle air-conditioner. * Kitchen with upright stove. * Bathroom with shower, bath and vanity unit * Separate Toilet * Ceiling fans throughout * Fully Screened, Security doors * Single lock up garage with internal access. * Fenced back yard * Electric Hot water system * 3x3 Garden Shed. This home is conveniently located minutes drive to Browns Plains Plaza & close to public transport & primary schools. Call today for a private inspection !!! REDUCED !!! OWNERS WANT IT SOLD !!! This Home is Remarkable Come along and view this home with imagination and feel the warmth of country living . The design, the quality and the bush neighbour reserve and the quiet cul de sac street will appease the most discerning buyers. The over sized living areas and master bedroom with spa is an attraction in itself. Large open plan kitchen with room to move. Situated on 1 acre with plenty of room for the children to play, four bay shed big enough to escape the daily grind and sustainable Gardens for those greenfingers who like to get lost in time. Features Include: * Open plan Kitchen/Dishwasher/Stainless steel appliances. * Split system air conditioning living area and ceiling fans bedrooms. * Master bedroom with spa and walk in robe, 3 other rooms with Built-in Robes. * Fire place for those chilly winter evenings. * Large entertainment area. * 4 Bay colourbond shed with power * Tank Water * Solar hot water * Fully security screened * Fully fenced landscaped gardens. This property is located only minutes away from Greenbank shopping centre and school bus at end of street. For a private inspection please call Susan on 0487 688 891 now.